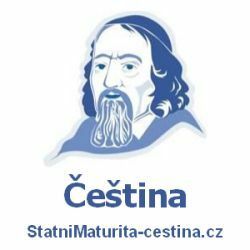 Které nejčastější otázky pokládají zkoušející u ústní zkoušky z angličtiny na téma Evropská Unie a jak na ně odpovídat tak, abyste získali vynikající hodnocení. Připravili jsme seznam nejvíce frekventovaných otázek hodnotitelů pro maturitní okruh Ireland a vzory odpovědí na jedničku. Tak si je vyzkoušejte nanečisto v klidu a teple svého domova na mobilu či počítači. 1. What is the difference between „Europe“ and „European Union“? Please, explain. Europe is a continent with 50 countries. European Union is a political and economic union of only some countries in Europe. Currently, there are 28 countries in the European Union. 2. Where is the EU situated? Tell me about it. Since all of the member countries are in Europe, the European Union is situated in Europe. It covers the majority of the continent. 3. Who are the members of the European Union? Tell me about it. There are 28 countries in the European Union. The members are: Austria, Belgium, Bulgaria, Croatia, Cyprus, Czechia, Denmark, Estonia, Finland, France, Germany, Greece, Hungary, Ireland, Italy, Latvia, Lithuania, Luxembourg, Malta, Netherlands, Poland, Portugal, Romania, Slovakia, Slovenia, Spain, Sweden, United Kingdom. However, the UK is leaving on March 29, 2019. 4. What is the brief history of the EU? Why? Tell me about it. Ever since the Middle Ages, European countries have been at war. So after the two world wars, the European visionary leaders finally realized, that it was time to start cooperating, instead of fighting. Belgium, Italy, Germany, France, Luxembourg, and the Netherlands started cooperating in the production of coal and steel (= the European Coal and Steel Community; ECSC). Later on, in extended to other areas as well. After the success of the ECSC, the European Economic Community (EEC) was established, as well as other institutions. In 1967, the European Community was created, with a Council and a Commission collective to all members. In 1992, it was renamed the European Union. 5. Which members of the EU are the most significant? Why? Tell me about it. The ranking of the countries is established according to the number of positions in the European Parliament, such as the presidencies, vice-presidencies, committees, etc. In this list, Germany takes the first place, followed by France, Italy and the UK. The Czech Republic is in 16th place. 6. Why does the EU exist? Tell me about it. The European Union members share political and economic relations. EU’s main purpose is to preserve peace. It also provides free movement of goods and services, and people within its members. The European Union works as a single market through a standardized system of laws, applicable in all member countries. 7. What is the capital city of the EU? Tell me about it. The capital city of the EU is Brussels. In 1957, the 6 member countries couldn’t make an agreement on where should the new institutions be hosted. Therefore, there was an emergency meeting in 1958, where they decided that the new institutions will be chaired in turn, by each of the 6 members. They decided to do it in alphabetical order, which means that Belgium went first. From that time on, Brussels is the capital of the EU. 8. What are the symbols of the European Union? Tell me about them. anthem- “Ode to Joy” from the 9th Symphony by Ludwig Van Beethoven. There are no words, it is the music only. motto- the motto is “united in diversity”. Europe Day- celebrated on 9 May. 9. How do you pay in the EU? Tell me about it. In most of the member countries, the euro is the currency- also known as the Eurozone. The euro is used by 19 out of 28 countries. 10. Who is the newest member of the European Union? Tell me about it. 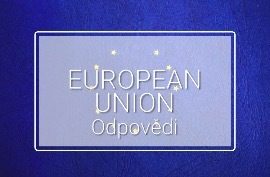 Croatia is the newest member of the European Union. They joined the EU in 2013. The country applied for membership in 2003, but it was complicated by Slovenia, because of a border dispute. 11. What is the motto of the EU? Tell me about it. The motto is “united in diversity.” In Latin it is “in varietate concordia.” It symbolizes how Europeans are united and how they work together for peace. It stands for multiculturalism- all of the different languages and cultures are a benefit for the continent. 12. What is special about the EU concerning tourism and travelling? Tell me about it. It is very easy to travel within the EU countries. Most of the members are part of the Schengen Agreement. There are no border controls. While traveling within the Schengen zone, all we need is just our ID card. There is no visa or passport control needed. 13. What about the EU and study opportunities? Tell me about it. The EU offers a student exchange program, called Erasmus+. It is managed by the executive body of the EU- the European Commission. There are 33 program countries. Erasmus+ supports education in Europe and provides opportunities to study/volunteer/gain experience abroad. They have a budget of €14.7 billion for 2014-2020. 14. What about living in the EU? Tell me about it. The European Union is quite wealthy. The standards of living there are among the best in the whole world. Most of the countries with the highest quality of life are in the EU. But of course, each country is different. Citizens of the EU get many benefits, from education to healthcare. 15. What about the EU citizens and jobs? Tell me about it. The EU citizens have rights to work in another EU country without needing a work permit. They are as well entitled to live there. However, you have to be aware of the benefits and paying tax, while living and working abroad. 16. Which institutions of the EU are the most important? Tell me about them. The European Council- decides on the direction and political priorities of the EU. The European Commission- proposes new laws, manages policies and funding, represents the whole EU. The European Parliament- has the legislative, budgetary and supervisory responsibilities. 17. Where do people go on holiday in the EU? Tell me about it. Since traveling within EU member countries doesn’t require any visa, most of the Europeans don’t travel too far and stay in Europe. Spain, Italy, and France are the most popular countries. 18. Who is now the president of the EU? Tell me about it. There is no president of the European Union. Although, there are presidents of EU institutions. The president of the European Commission is Jean-Claude Juncker, the president of the European Council is Donald Tusk, and the president of the European Parliament is Antonio Tajani. 19. Who are the people in the European parliament? Tell me about them. There are 751 members of the European Parliament. The number of members for each country depends on its population. However, no country can have less than 6 or more than 96 members. The Czech Republic has 21 members. 20. Why did the EU get the Nobel Prize? Tell me about it. The European Union received the Nobel Peace Prize in 2012. The reason why they got it, is because they have contributed to the European improvement of peace, democracy, and human right for over six decades. 1. Would you like to travel the European Union? Why? / Why not? Yes, I would like to travel the European Union. It would be fun to either do a road trip or to go to each country by train. All of the countries are quite close to each other, therefore I would be able to make it in 2 or 3 months. And after you travel the EU, you can say you’ve been to most of the European countries. 2. Would you like to try any of the European projects for studying abroad? Why? / Why not? I would like to study abroad when I’m in college. I would like to go during the second year, for the whole semester. It is a great opportunity to meet new people, learn the language and get to know the culture and traditions. 3. Would you like to work in another country? Why? / Why not? I don’t think I would like to work in another country permanently, but it would be fun to do the internship abroad or to work somewhere over the summer. 4. Which place in the EU do you like the most? Why? I haven’t been to all of the countries of the EU, but so far I like Italy the most. Rome, to be exact. I just love the people there, the food, the atmosphere, everything is so close, and I love the little narrow streets everywhere. 5. Have you ever considered yourself being a citizen of the European Union? Tell me about it. I have never really thought about it, but I guess I do consider myself as being a citizen of the EU. Since I like to travel a lot, being a citizen of the EU makes it so much easier to move within the EU countries. Our schools also get tons of benefits from the EU and a lot of different projects that we have been part of.